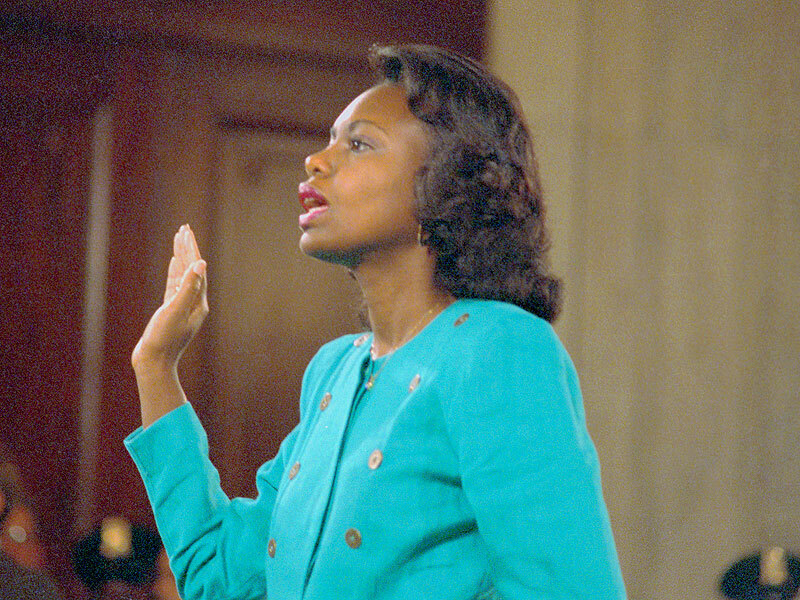 Law professor Anita Hill takes the oath before the Senate Judiciary Committee on Oct. 12. In 1991, American women sat in their homes and watched university professor Anita Hill testify during the Senate confirmation hearing for Associate Justice Clarence Thomas. In the midst of an all-male Senate, Hill was asked questions about women’s large breasts, her own credibility, and what she was going to “gain” from testifying. This year, American women sat in their homes and watched professor Christine Blasey Ford scorned for accusing Supreme Court nominee Brett Kavanaugh of sexual assault. Following a rapid and inconclusive FBI investigation, Brett Kavanaugh was sworn in as an Associate Justice on the Supreme Court on October 6, a decision that is too familiar for American citizens. In 1992, one year after the Hill and Thomas controversy, Bill Clinton, who allegedly had a sexual affair with Gennifer Flowers, was elected as President. Clarence Thomas, despite sexual assault allegations, was appointed onto the Supreme Court. However, that same year, four women, Patty Murray, Carol Moseley Braun, Dianne Feinstein, and Barbara Boxer, were voted into the U.S. Senate. The press called it “The Year of the Woman,” prompting another wave of feminism. 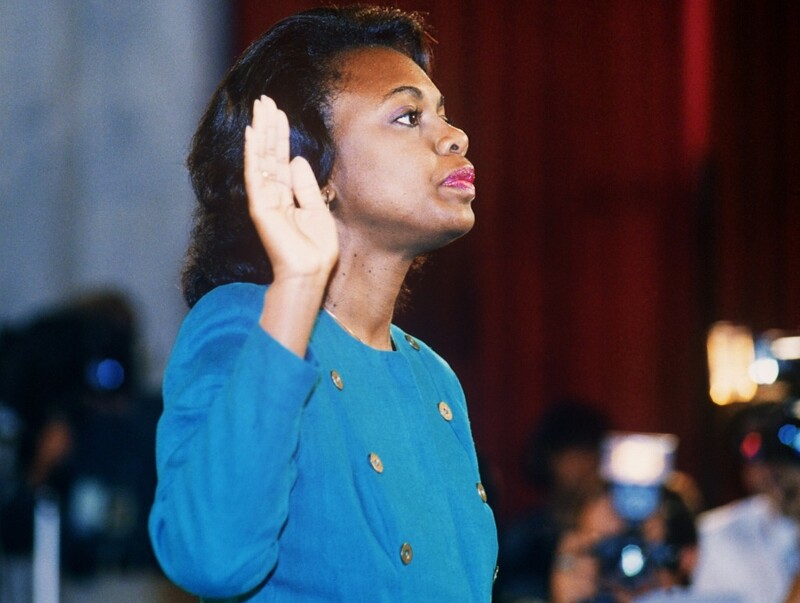 When interviewed about their motivation for running, the newly elected senators went back to the disgust they felt while watching the cross-examination on Anita Hill. Fast forward 26 years, there are 23 women senators. Although this only holds about 20% of the U.S. Senate, November primary statistics say the future is changing. According to The New York Times, 476 women ran in Democratic or Republican primaries for Congress and 219 women have already won primaries. 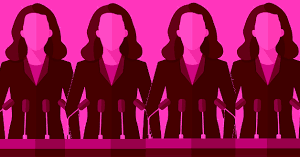 Every year, women gain more representation in the political field. Especially in a time when Brett Kavanaugh, a historically conservative judge that has spoken against reproductive rights, has filled the ninth seat of the Supreme Court, there has never been a more crucial time to go out to the polls and vote. Over the past months, we’ve witnessed the power of the #MeToo movement, male politicians speaking up for women, and states passing legislation to support reproductive rights. Although sexual assault allegations have never been new in the political sphere, Americans are finally giving a voice to all women, not just those who already have one. In 2018, women are still fighting for their lives. Except for this time, women will not be sitting in their living rooms watching men decide their fate. They’ll be at the polls and running a race that is finally beginning to cheer them on.